Starting this Saturday (12/09/2015), the tourism program of Jakarta City Hall officially begins. You are free to visit the office of the Jakarta Governor. 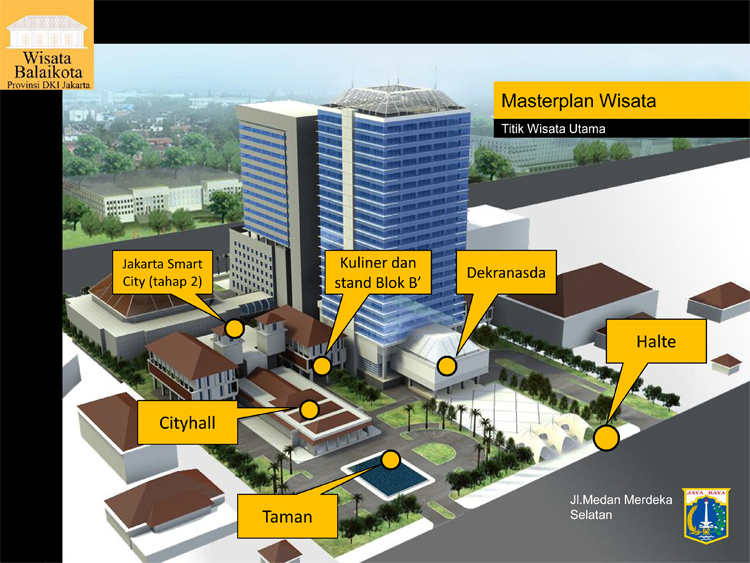 City Hall tour will be held every Saturday and Sunday starting at 09.00-17.00. However, for this particular Saturday, the tour will start at 10.00. If you want to visit the City Hall, you can enter through two access, first is the entrance located at Jalan Medan Merdeka Selatan and the second entrance is located at Jalan Kebon Sirih. The closest train is Gondangdia station. In this place, you will be greeted by a tour guide who will explain the history of Jakarta City Hall. After that, you will be welcome to go up to the main hall and will get the exposure of the smart city program. Previous Post Jakarta International Airport: How do I get to my accommodation?